E-commerce has transformed the world. With many people opting to purchase products and services online, it has become an essential part of our lives. Websites with great functionalities and features are now available in the market. Web development is an intricate process which has to deal with various aspects. When it comes to create an ecommerce website¸ the things become more complex. It is essential to look upon different characteristics and features of the website. Its design should be aesthetically beautiful and attractive. It should provide good user experience and its performance should be great. It should have easy navigation. E-commerce website development can be quite a challenging process considering these aspects. Mentioned below are some of the important qualities an e-commerce website should have to stand out in the online landscape. With the ever-increasing number of smartphone users, online shopping has become a recent trend. To make online shopping seamless, an e-commerce website should be quite responsive. It should have a responsive design to meet the requirements of the users. It should be able to change and adapt itself according to device screen of the users which can be different. From basic navigation of the website to checkout process and payment, every aspect of e-commerce store should be capable enough to meet the demand of the users so that they can purchase products while on the move. To creating an ecommerce website with responsive design, it is essential to put in lot of efforts in understanding the customer requirements and lay special emphasis on designing phase of the website. When it comes to providing comfort to the users, an e-commerce store should allow the users to book orders as well as make purchases. There should be a follow-up communication which can lead to future sales and repetitive purchase. It is an important aspect of an e-commerce website. An e-commerce website should send notifications to the users about the upcoming items which can lead them to purchase those items. It should understand the buying behaviour of the customers and subsequently make suggestions to them so that they can purchase the new products. This feature should be there on every e-commerce website. Most of the customers that come on an e-commerce website, often search for products. An e-commerce website should have a search functionality to make sure that the users can search for the products that they want to purchase. It should also have auto-complete features that help the users to get to know about popular products. It should help the users to narrow their search in different ways. Categorization of products can help the users in searching the right item. Online users are quite concerned about their private information that they put on an e-commerce website. Whether it is their personal details, credit card information etc. they want their data to be secure and safe. Every e-commerce website should ensure that the user data is safe and sound. It should support SSL to encrypt the valuable information of the users to make it secure. It is essential as payments are done through credit cards or bank details which should be kept confidential. An e-commerce store should put all the necessary safeguards to protect its users’ information from any malicious attack or hacking. If a website is not secured then the customer will not make purchase form that website. 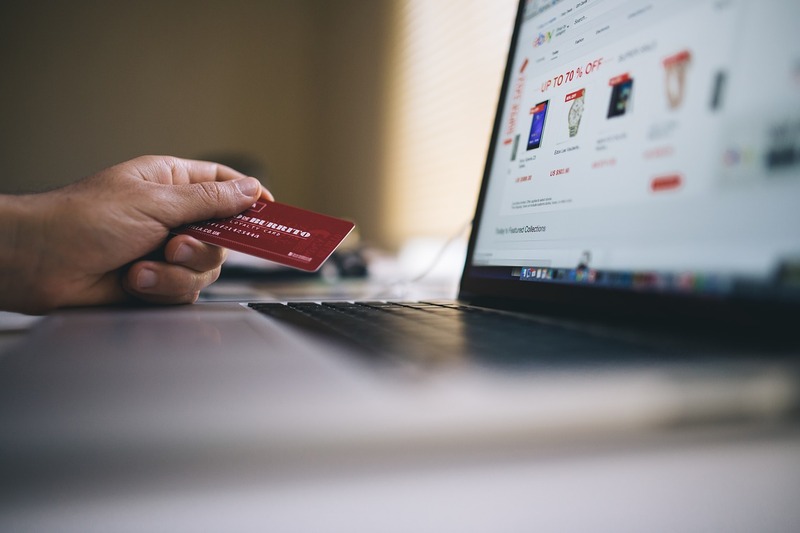 With different payment options available to the users, the e-commerce store should keep in mind the convenience of the users. It should have multiple mode of payments which should include commonly used ones such as Cash-On-Delivery, PayPal, Credit Card etc. Most of the customers look for multiple payment options especially for Cash-on-Delivery method. If an e-commerce store doesn’t have this option, then it can lose a major chunk of customers. E-commerce website face a stiff competition in the online world. There are multiple platforms which sell products as well as services online. To standout in this competitive scenario, an e-commerce website should be properly optimized. It should be easily found on search engines else it may lose a large number of customers. It should have proper search engine optimization and should appear on top search result pages. Also, on-page optimization of e-commerce website is essential. If an e-commerce website doesn’t load properly then it will lose majority of its visitors. Social media is a great promotional tool. Every e-commerce store can use this platform to boost its sales. It can utilize it to increase its exposure and reach out to millions of online users. An e-commerce store should have good presence on popular social media platforms. Customer reviews helps potential customers in making decision to purchase a product. An e-commerce website should have this section where the customers can leave their opinion and express their experience on the product description page. It helps in gaining credibility of an e-commerce store. How Can Technology Lead To A Happier Workforce?